Zambezi features a flotilla of boats, originally sculpted by Sotho artist Benet Zondo, captained by an array of animals all floating gently down the Zambezi river in Zimbabwe. 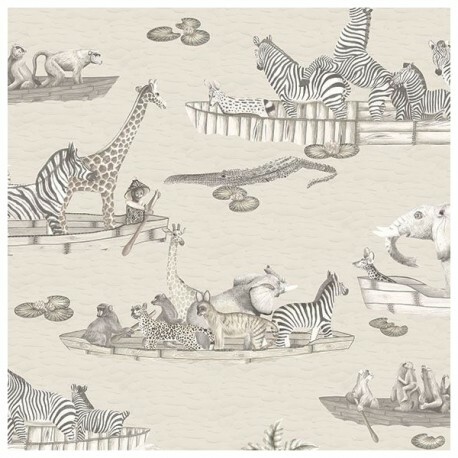 Zambezi features a flotilla of boats, originally sculpted by Sotho artist Benet Zondo, captained by an array of animals all floating gently down the Zambezi river in Zimbabwe. 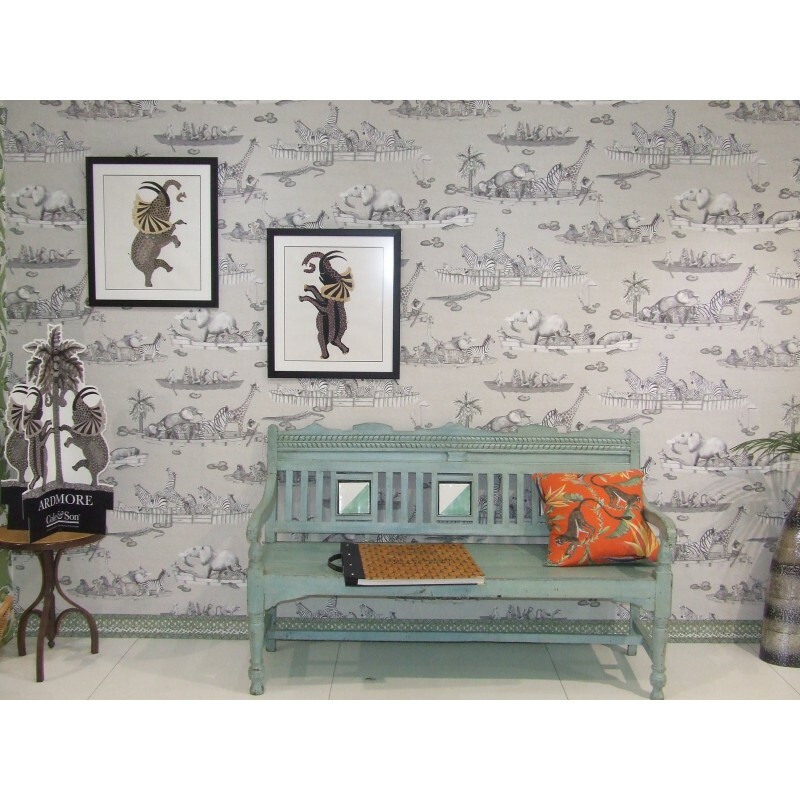 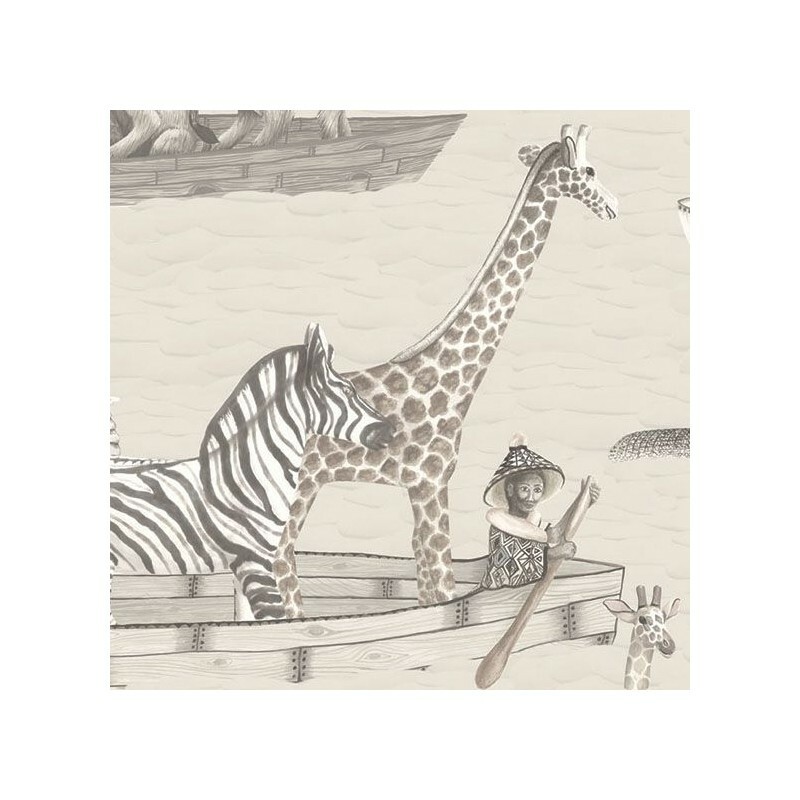 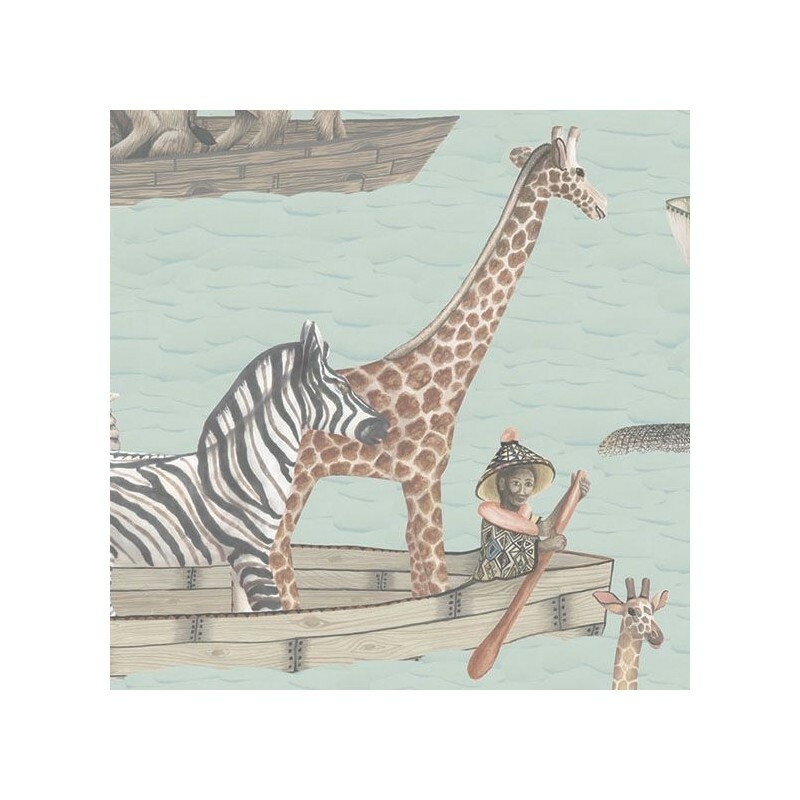 Inspired by Operation Noah, a mission led by people in boats to save drowning animals when the Zambezi flooded in the 1960s, this delightful wallpaper will be loved by children and adults alike. Softly coloured zebras monkeys, elephants and hyenas all feature as do the occasional crocodile and haughty flamingo. 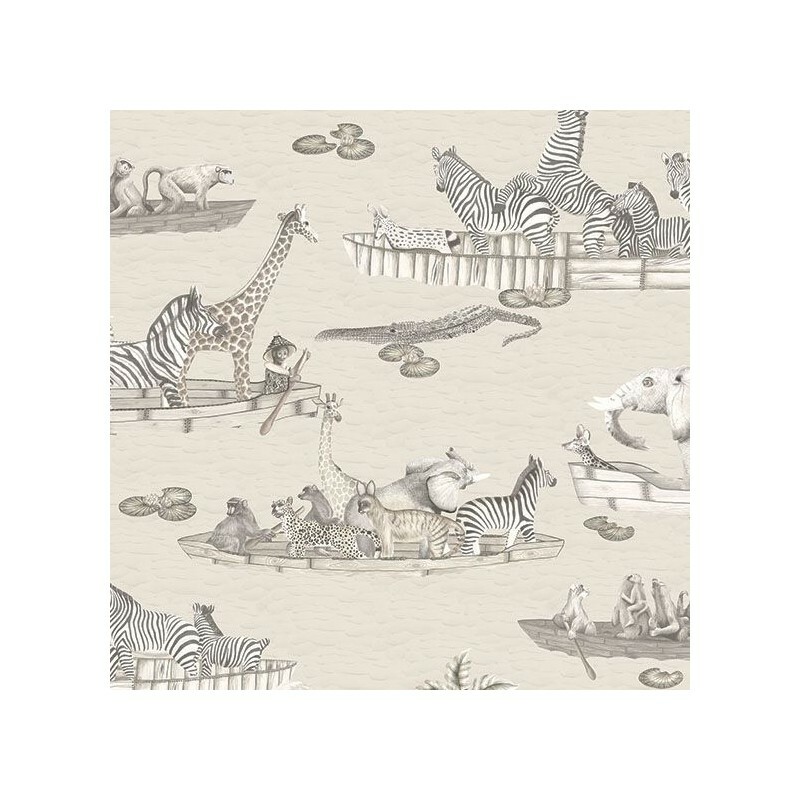 The design is offered in two colourways of soft water coloured pastel tones and a calm yet sophisticated neutral and is printed with a striking 70cm wide repeat on a half drop.